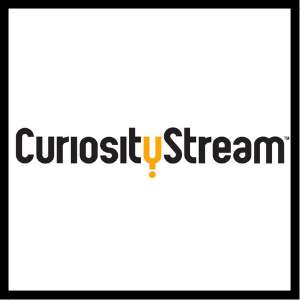 Looking for a great Insect Unit Study for your kids? Here are some fun learning activities, books, and resources to get your kids immersed in the world of insects! *Disclosure: I received a Home Microscope, Basic Slide Set, Insect Legs Slide, and Space Ant Habitat at no cost and was compensated for my time in exchange for an honest review. I was not required to write a positive review. As always, all thoughts and opinions are my own. I only choose to share resources that I would use with my own family and those that I believe other families will enjoy and benefit from. 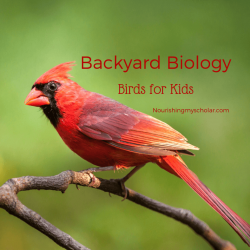 My kids have become obsessed with the wildlife in our backyard. Specifically, they are interested in all of the insects they keep discovering. And, Oh Boy, have they been discovering a huge amount of insects! Everything from gorgeous butterflies, beetles, honey bees, and ants have all made appearances. 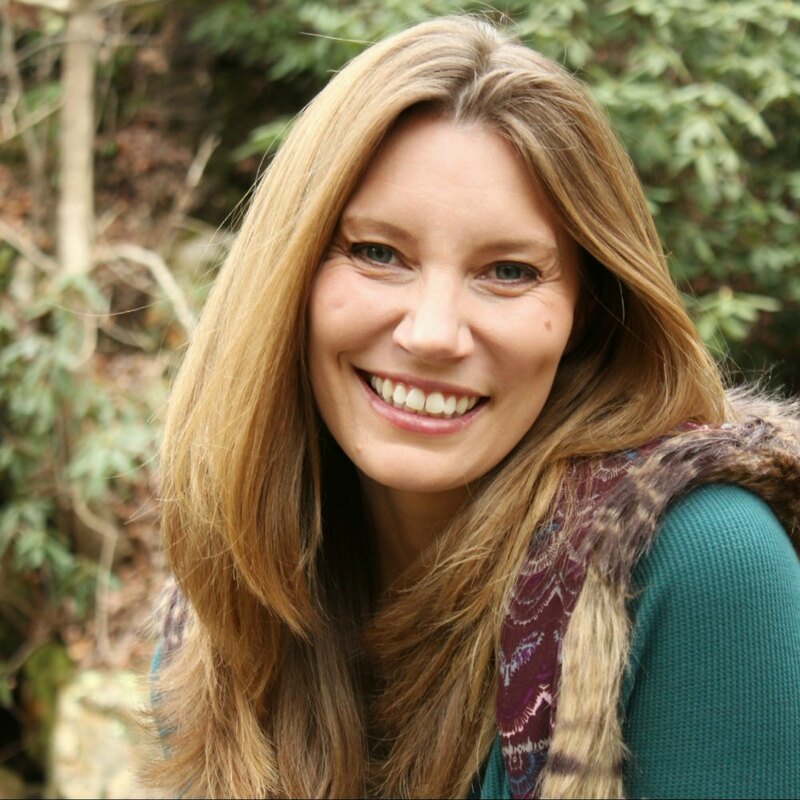 I want to help my kiddos dig deeper into the topics that interest them while continuing to instill a love of learning. This year I also wanted to get a microscope. 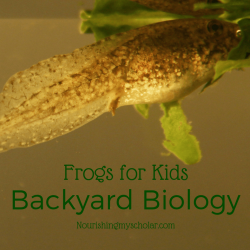 Something more than the little pocket microscopes we take on our nature hikes. A microscope that could open up the science of the insect world in a GIGANTIC way. 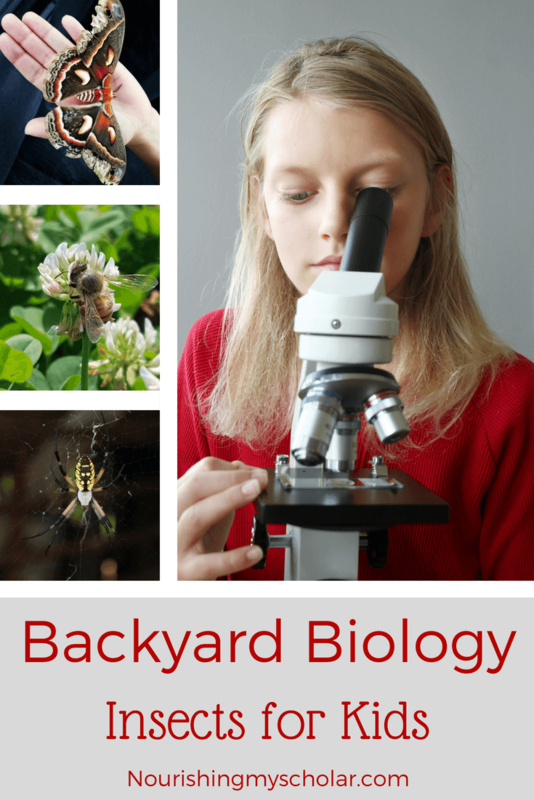 Planning our Backyard Biology Insect Study was easy! We used Home Science Tools to order a few needed supplies such as the Home Microscope and the Basic Microscope Slide Set. 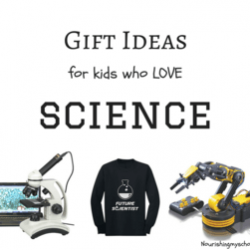 Home Science Tools specifically caters to homeschool science inspired learning resources. 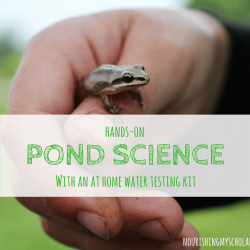 They have EVERYTHING you need to make your homeschool science fun and engaging! 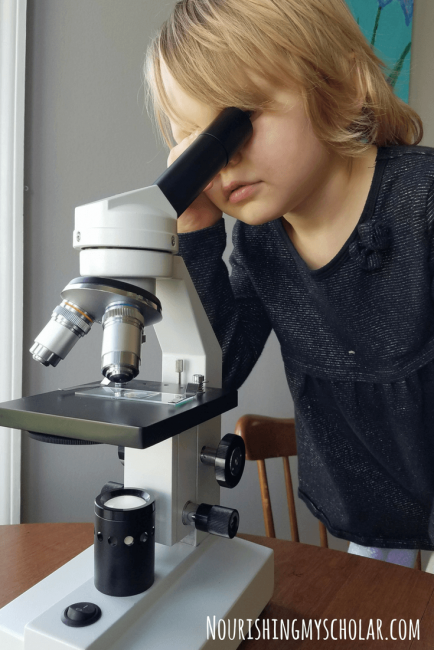 One of the benefits of a microscope is that it makes for a great hands-on science tool and allows us to look more closely at the world around us! There is so much to see on a microscopic level whether your kids are studying birds, frogs, or insects. 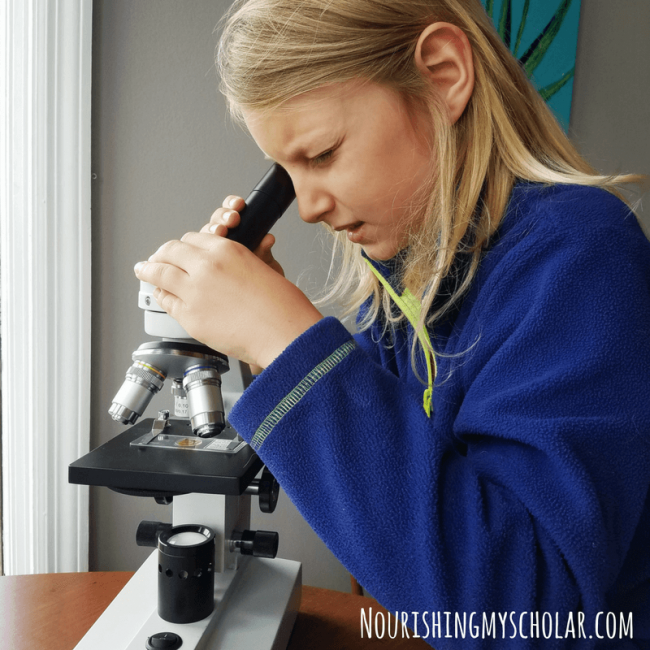 If you are looking for an affordable microscope for your homeschool this year, one that can grow with your kids even into high school, then be sure to check out the Home Microscope! Affordable – because we don’t want to break the bank! 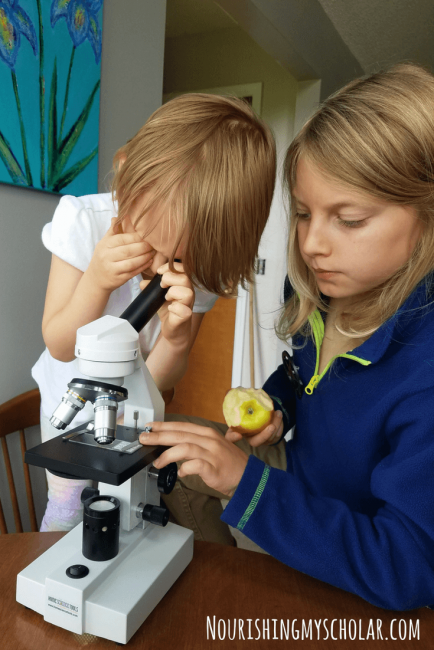 It needs to last throughout my children’s educational journeys – This microscope is perfect for my son as he enters higher levels of science, but also practical for my 5-year-old…with adult supervision of course. High-Quality – can we see the protozoa in pond water, cells, or the hairs on an insects legs? A great warranty is always a plus – Home Science Tools offers a Lifetime Warranty! 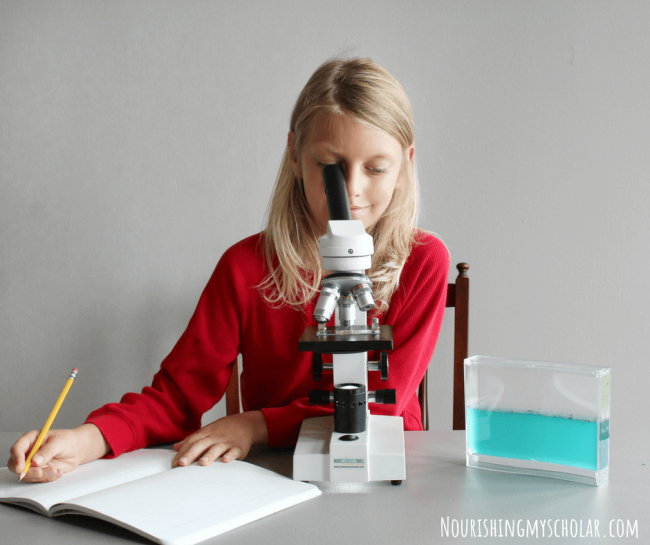 Introducing kids to the world of microscopes and insects is a breeze with prepared slides. My little entomologists loved the prepared Insect Legs Microscope Slide while also learning the proper way to use a microscope. 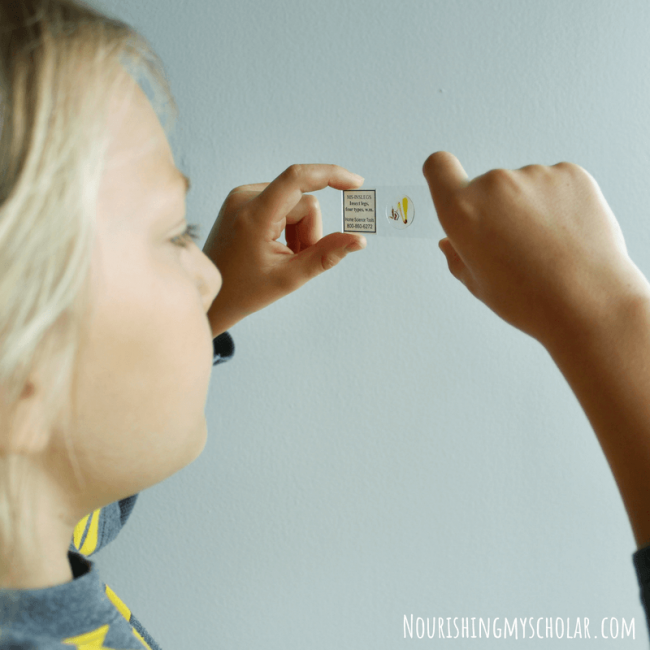 Prepared slides offer an easy way for children to start using a microscope without getting into the tediousness of creating their own slides. But my kiddos also enjoyed collecting insects (not alive) to view under the microscope with a basic slide set. The living insects were only observed with their eyes. Thus with the microscope, we got to see how creepy and cool insects look up close! The kids were constantly comparing and contrasting the different insects they discovered. We also labeled the different parts of the insect. My son even started an insect notebook where he could write down all of his findings. Larger insects are easier to catch but are harder to use with a microscope. Smaller insects offer you a full body view – look for fleas, mites, gnats, mosquitoes, fruit fly, etc. Every great unit study needs fantastic books to help solidify the hands-on learning experiences. Here are some of our favorite books about insects and microscopes! 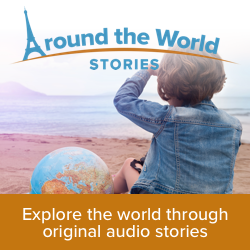 National Geographic Kids offers an incredible selection of videos and facts on insects while “National Geographics Beauty Through the Microscope: Bugs Like You’ve Never Seen Them Before” is a short video on how one man started taking macro photos of insects with a microscope. The result? Microscultpure. These images are stunning and my kids were in awe at how BEAUTIFUL insects really are. You can click on the images and zoom in up to 0.125m! Try it with this Paris Peacock Butterfly. 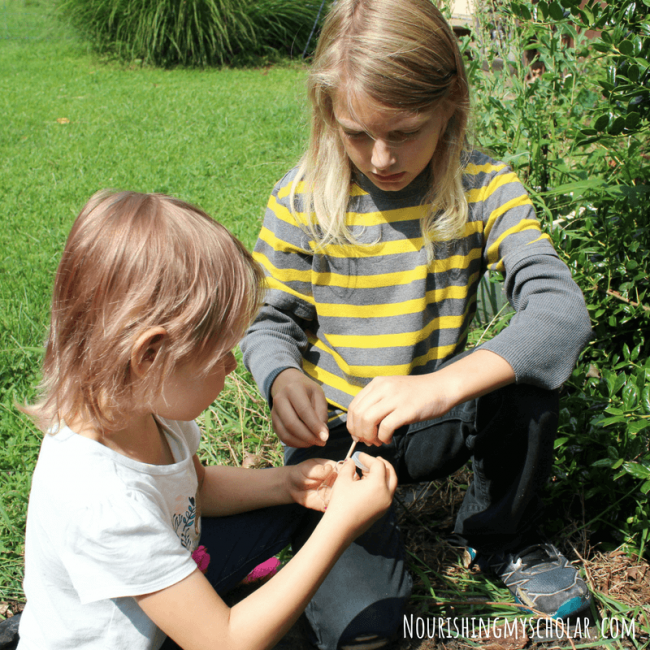 Raising our own insects is another awesome way for a hands-on learning insect experience. In this way, we are able to observe creepy crawlies even when mother nature doesn’t want to cooperate. In the past, we have raised butterflies and ladybugs. This year the children wanted to start their own Space Age Ant Habitat! The kids had loads of fun creating the Space gel in the kitchen and then going out and catching the ants to inhabit their farm. There was bickering over who would collect the ants. But they managed to make everything equal smeaqual. Once caught the ants eat and live in the gel. Every day the children check the habitat to find new activity and tunnels. 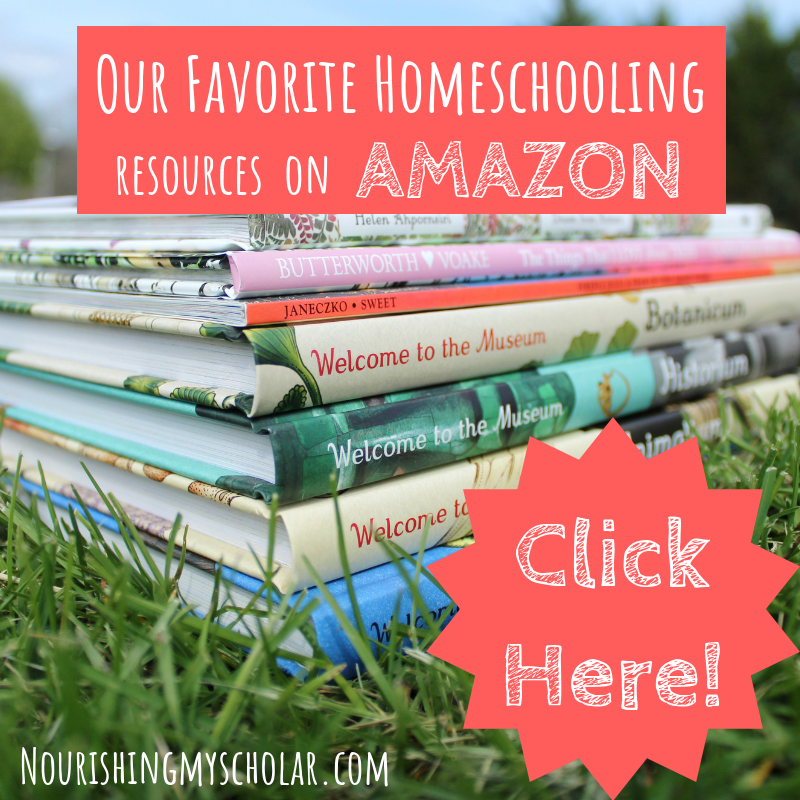 You may also enjoy these other insect resources! 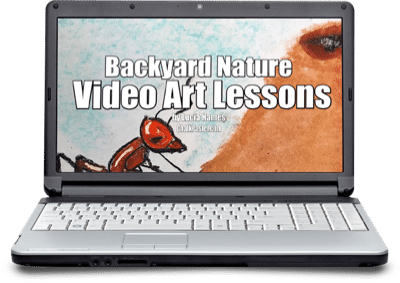 Backyard Nature Video Art Lessons offers a chalk pastel tutorial for drawing an Ant and a Lightning Bug. 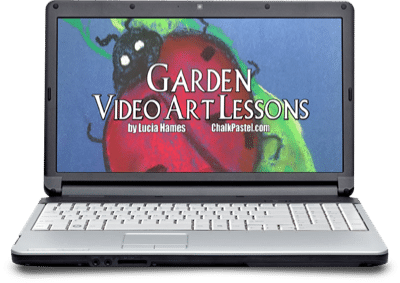 While the Garden Video Art Lessons offers a chalk pastel tutorial for drawing a Ladybug! Letting your children follow their interests can open up an entire universe of awesome learning opportunities. 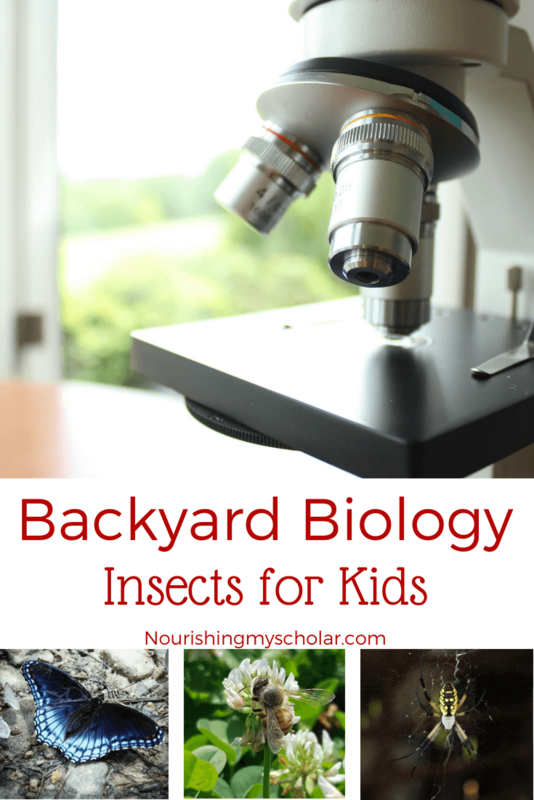 My little scientist loved catching backyard insects, reading about insects, and watching videos about insects. Being able to get microscopic with the insect world just took our unit study to the next level. 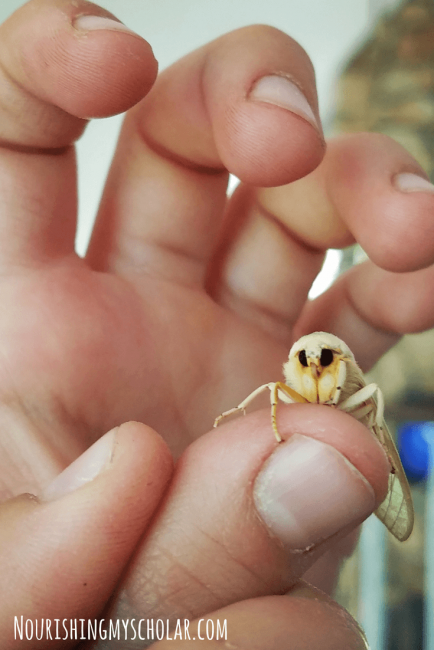 So tell me, how will you make your insect study fun and hands-on? 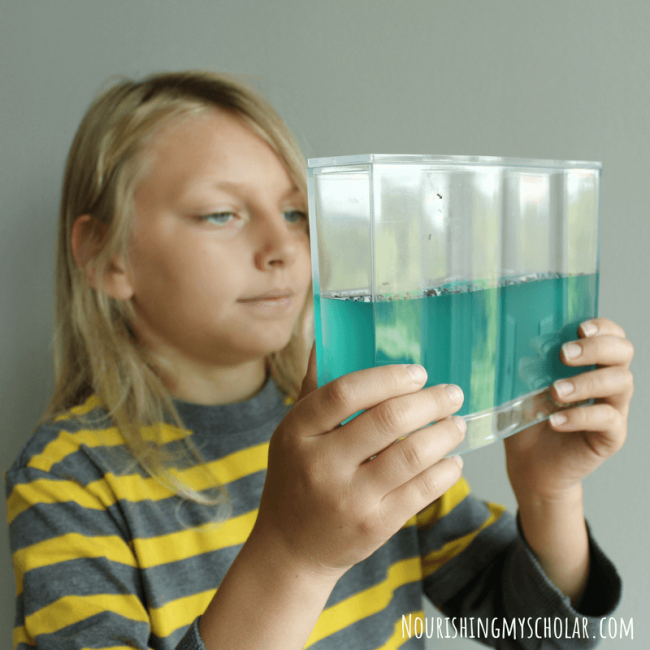 For more great microscopes and homeschool science ideas visit Home Science Tools! 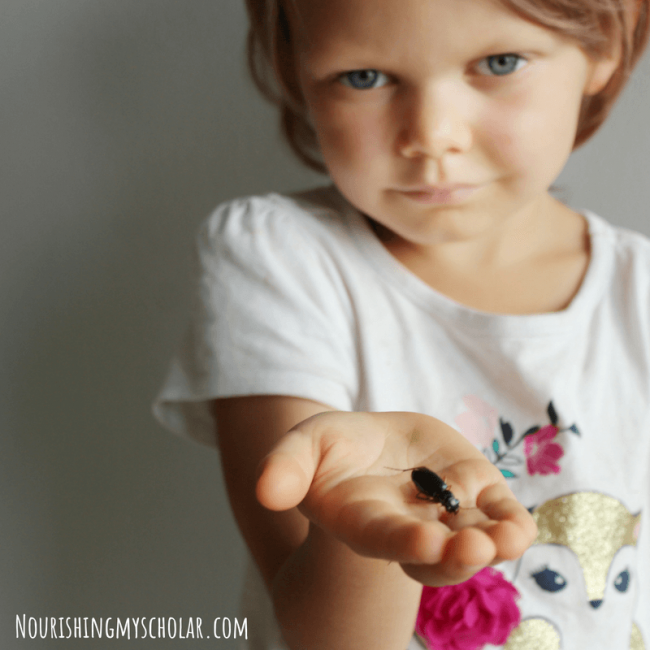 Braver than me – I do not like bugs at all! Thanks Erin. We’re just about to study insects this year. I’ll check out the books. I hope you enjoy them Yuyan!